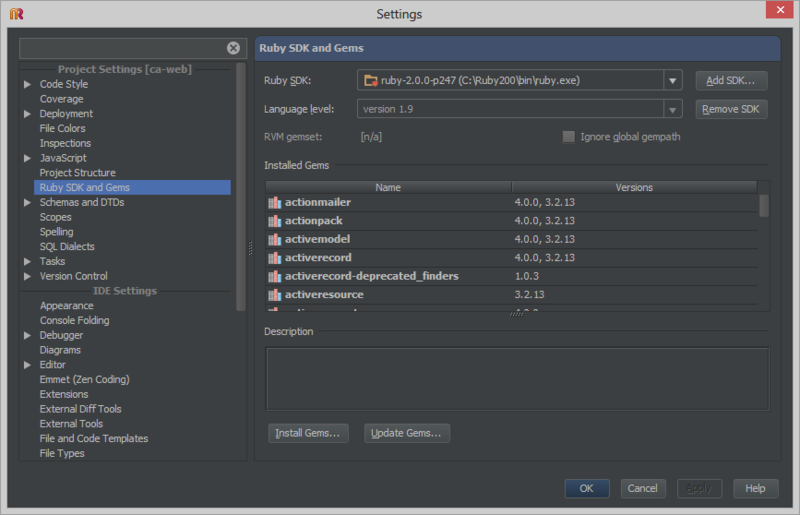 Ruby SDK isn't set. Check project settings. Any ideas about what the problem might be? I'm using Windows 8, Rails 4, Rubymine 5.4.3. I figured out the solution to my own problem. I closed the project, deleted the .idea folder, and re-opened the project. rake tasks (and a whole bunch of other stuff) appear to be working correctly now.